Today, business resources, such as applications and data, are accessed inside and outside the traditional business perimeter. Local and remote employees, partners, and customers often access applications without context or security. A central policy control point delivers access based on context and is critical to managing a scalable, secure, and dynamic environment. F5 BIG-IP® Access Policy Manager® (APM) is a flexible, high-performance access and security solution that provides unified global access to your applications, network, and cloud. 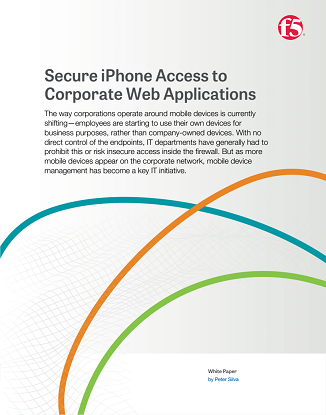 BIG-IP APM converges and consolidates remote, mobile, LAN, and web access—as well as wireless connectivity within a single management interface. 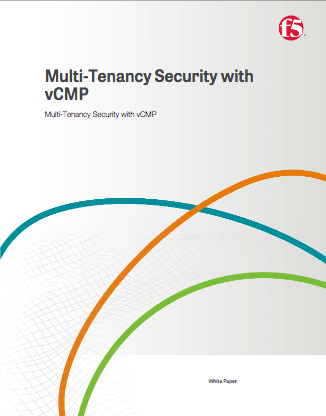 It also enables simple, easy-to-manage, context-aware access policies. 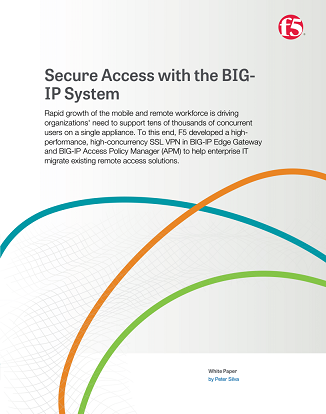 As a result, BIG-IP APM helps you free up valuable IT resources while you cost-effectively secure and scale access.